The Sack of Brescia took place on February 18, 1512 during the War of the League of Cambrai. The city of Brescia had revolted against French control, garrisoning itself with Venetian troops. Gaston de Foix, recently arrived to command the French armies in Italy, ordered the city to surrender; when it refused, he attacked it with around 12,000 men. The French attack took place in a pouring rain, through a field of mud; Foix ordered his men to remove their shoes for better traction. The defenders inflicted heavy casualties on the French, but were eventually overrun, suffering 8,000 – 15,000 casualties. The Gascon infantry and landsknechts then proceeded to thoroughly sack the city, massacring thousands of civilians over the next five days. Following this, the city of Bergamo paid some 60,000 ducats to the French to avoid a similar fate. The Auld Alliance was an alliance made in 1295 between the kingdoms of Scotland and France. The alliance was formed for the purpose of controlling England's numerous invasions. The Scots word auld, meaning old, has become a partly affectionate term for the long-lasting alliance between the two countries. 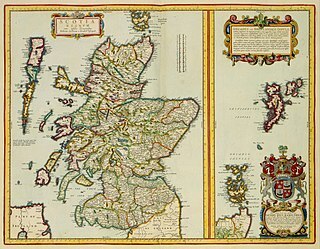 It remained until the signing of the Treaty of Edinburgh in 1560. Bartolomeo d'Alviano was an Italian condottiero and captain who distinguished himself in the defence of the Venetian Republic against the Holy Roman Emperor Maximilian. Ramon Folc de Cardona i Anglesola was a Spanish general and politician, who served as the viceroy of Naples during the Italian Wars and commanded the Spanish forces in Italy during the War of the League of Cambrai. He was granted the title count of Oliveto in the Kingdom of Naples, on 12 December 1515. The Battle of Noain-Esquiroz was fought near Pamplona on June 30, 1521, during the Italian War of 1521–26. A makeshift Spanish army[ citation needed ] consisting mostly of Castilian troops defeated the Navarrese and French forces sent by Henry d'Albret and commanded by Lesparre, driving them out of Iberian Navarre. The Siege of Genoa (May 20, 1522 – May 30, 1522) was conducted by an army of the Holy Roman Empire under the command of Spanish General Fernando d'Avalos and Italian condottiero Prospero Colonna against the French forces defending the Italian city. Since Genoa had refused to surrender, the Imperial troops were permitted to loot the city once it had fallen. ↑ Baumgartner, Louis XII, 220. ↑ Baumgartner, Louis XII, 220; Norwich, History of Venice, 421. Baumgartner gives 8,000 as a minimal estimate, while Norwich gives 15,000. ↑ Arnold, Renaissance at War, 180; Blockmans, Emperor Charles V, 72–73; Oman, Art of War, 213. Henry II, nicknamed Sangüesino because he was born at Sangüesa, was the King of Navarre from 1517, although his kingdom had been reduced to a small territory north of the Pyrenees by the Spanish conquest of 1512. Henry succeeded his mother, Queen Catherine, upon her death. His father was her husband and co-ruler, King John III, who died in 1516. 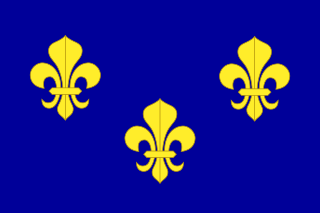 Jacques de La Palice was a French nobleman and military officer. His full name and titles were Jacques II de Chabannes, Lord of La Palice, of Pacy, of Chauverothe, of Bort-le-Comte and of Héron. In 1511, he received the title of Grand Master of France. Lower Navarre is a traditional region of the present-day French département of Pyrénées-Atlantiques. 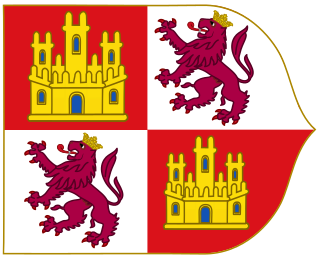 It corresponds to the northernmost merindad of the Kingdom of Navarre during the Middle Ages. After the Spanish conquest of Iberian Navarre (1512–24), this merindad was restored to the rule of the native king, Henry II. Its capitals were Saint-Jean-Pied-de-Port and Saint-Palais. In the extreme north there was the little sovereign Principality of Bidache, with an area of 1,284 km2 (496 sq mi) and a decreasing population of 44,450, 25,356. Fernando Francesco d'Ávalos, 5th marquis of Pescara, was an Italian condottiero of Aragonese extraction. He was an important figure of the Italian Wars: in the Battle of Ravenna in 1512 he was taken prisoner by the French, but was released at the conclusion of the War of the League of Cambrai. He was the chief commander of the Habsburg armies of Charles V in Italy during the Habsburg-Valois Wars and defeated the French at Bicocca and Pavia. The Battle of Ceresole took place on 11 April 1544, during the Italian War of 1542–46, outside the village of Ceresole d'Alba in the Piedmont region of Italy. A French army, commanded by François de Bourbon, Count of Enghien, defeated the combined forces of the Holy Roman Empire and Spain, commanded by Alfonso d'Avalos d'Aquino, Marquis del Vasto. Despite having inflicted substantial casualties on the Imperial troops, the French subsequently failed to exploit their victory by taking Milan. The Battle of Noáin or the Battle of Esquiroz, fought on June 30, 1521 was the only open field battle in the Spanish conquest of Iberian Navarre. It was a decisive victory for the Spanish against the Franco-Navarrese army. The Italian campaign of 1524–25 was the final significant action of the Italian War of 1521–26. André de Foix, Lord of Lesparre, (1490–1547) was a French General. Wikimedia Commons has media related to List of battles of the Italian Wars .